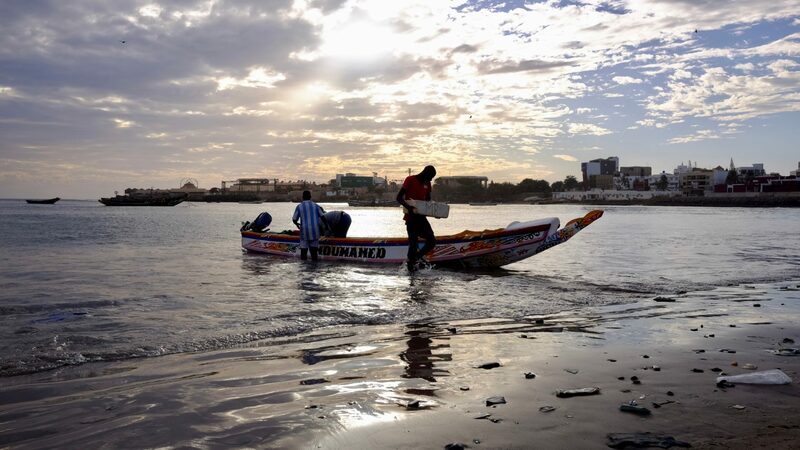 This project investigates the deals made by industrialized fishing fleets and the pirates in West Africa to illegally export fish from Senegal to Morocco provoking food crisis in former fishing villages. Until recently about 90% of the fishing work in the rich waters off Morocco, Mauritania, Senegal and Guinea was artisanal. You either ate what you caught or sold it in town markets. However, it's the other ten percent of the fish trade that produces most of the money. In recent years, a modern, largely unregulated fleet exporting to Europe and China, has ramped production to unprecedented levels. With the new, export fleet crowding out the old, village markets are without fish. Local fisherman responded in two ways. One we know too well: leave, often for Europe. Last year, evidence surfaced of more staying but going rogue. A four billion dollar illegal fishing industry has stirred in West Africa. Late last year, a study by the Overseas Development Institute revealed a complex black market of new Chinese-based fleets, local irregular fleets, artisanal fisheries, and coastal villages. Four billion dollars in fish is missing.